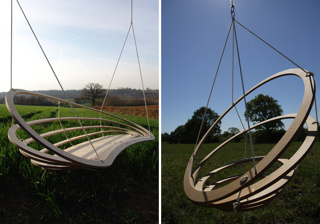 The Circa Hanging Chair is a new concept for the swinging chair or hammock. It is both safe and strong. It comes with a 5 meter rope with loops on both ends. It can be hung from our bamboo wigwam stand or from almost anywhere. The cushion is covered in a high quality outdoor fabric.